Your life is busy enough. Hire a cleaner or housekeeper to help out. If you've ever debated hiring a housekeeper, you have probably come up with a list of reasons why you shouldn't: it's a luxury or you can't afford it or it's a sign of laziness. However have you ever thought about why you should? Getting a housekeeper is a way to manage your time more efficiently and it can be very affordable. Whether you're busy with a family and career, or just want some occasional help around the house, getting a housekeeper is very practical. Here are some reasons you may need to hire some help. After a busy 9-5, day using your time away from work to clean the house reduces your energy and limits your time to enjoy other activities. You might not need a housekeeper every day, but having someone clean once or twice a month will give you more time to do the things you enjoy. Whether you're putting on a large event or just having company over, wouldn’t it be nice to leave the cleaning to someone else. Even if you're just having people over for dinner or to spend the weekend, knowing your housecleaning is taken care of takes the load off pressure and work of you, and leaves you time to enjoy the visit. Remember when your mum tried to teach you how to clean? Good. Now, do you really remember anything she actually said? We didn't think so. Cleaning isn't as easy as just turning on a vacuum. There are tips and tricks you learn with time or experience. Hire a housekeeper to show you. She can clean it a few times and demonstrate the best methods. But be careful; you may like just having her do it -- and that's okay too! Who does? But some people are better at it than others. Just because cleaning isn't your forte, doesn't mean you're lazy. Why waste your time and efforts doing something you're not good at, when you can have someone else do it? If cleaning takes you hours and you hate every minute of it, hire a housekeeper and devote that time to something more productive. You might not want or need someone to clean your own home, but your aging parents or other relatives might need help. As people get older, it becomes harder to take care of daily housekeeping tasks. A disorderly home is a health hazard for the elderly. A cluttered floor can cause them to fall and eating from dirty dishes can make them ill. If your aging parents need more help than just cleaning, hire an elderly care aide who can care for them, run errands and provide other duties around the home. A new baby in the house means lots of extra cleaning and laundry, more than exhausted new parents may be able to handle. A housekeeper can help pick up the slack while you get used to your new routine. MindMeCare.ie can take all the hassle and stress out of finding a good cleaner or housekeeper. So if you're looking for a dedicated domestic goddess to clean and care for your home, why not just register with MindMeCare.ie and search for the Cleaner / Housekeeper you need you need? Whether you want a house cleaner or house keeper to organize or deep clean your home, MindMeCare.ie have got the cleaner for you! With MindMeCare.ie you can find yourself a cleaner nationwide for a one-off, weekly or a fortnightly clean. Find a Cleaner or Housekeeper for any of the following. It is necessary to have an in-home consultation with your prospective cleaner, so they can get a better understanding of the home, the cleaning requirements and exactly what you're expecting them to do. Here are some factors you should look and consider when deciding how much to pay for housekeeping. 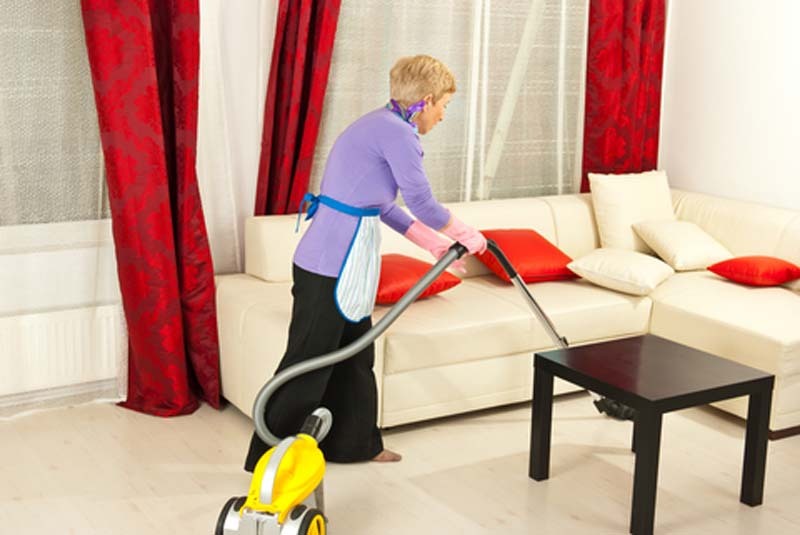 Look at other housekeepers and cleaners in your area on MindMeCare.ie. What do they charge? Ask people you know who have hired a cleaning service about how much they paid. Once you settle on a possible range, be prepared to negotiate with prospective housekeepers in order to arrive at a fair price that reflects what the job entails. Whether you want to find full-time work as a housekeeper, or whether you just need a part-time job to supplement your income, there are several things you can do to increase your chances of being hired. First of all, have your CV ready. Outline your past job history and your experience as a housekeeper/Cleaner, even if your experience is limited to managing your own home. Include skills that are relevant to a housekeeping job, such as the ability to work independently, provide a quality service, and work quickly. It would also be important to have references that prospective employers can call. When interviewing, it would be important to show that you are a friendly person and that you have enough energy to complete the tasks that a housekeeping job requires. Do your best to be cheerful and alert. Once you have a housekeeping job, ask for referrals. Often your employer will have friends or family who are looking for help too and could use your services. Often in life when we are dealing with people we employ to help us in our homes, we don't take the time to be kind, or even respectful. Our excuse is haste, but in so many cases it is a lack of sensitivity, a sense of entitlement or even arrogance. All of these attitudes are wrong, especially when they relate to how you treat people who have come to help you. Good relationships are built on mutual respect. Given this, no matter who you are interacting with, they are deserving of decent behaviour on your part. When you hire someone to come into your home to help clean, organize or manage, you expect polite behaviour and an honest effort from them: …you are paying them to do a job. Take the time to reflect on pleasantries, and show genuine interest in the person helping you; this can have huge benefits for everyone involved. The cynical among you are saying, “Treat the hired help well and you get more work out of them." At www.MindMeCare.ie we like to think that building a solid, friendly relationship with the people you hire motivates those working for you and creates an environment of common decency. It is these exchanges that set one day apart from the next. It is those opportunities to learn something new about someone, to realize hidden talents or just to have a friendly exchange of words that enrich our lives. The fact that you have the money to hire them and they require the money that you can provide should make no difference in the respect exchanged. How many times have you heard or experienced the situation where a person hired to clean in your home has gone above their job description by doing kind 'extras' or helping you in a time of need.